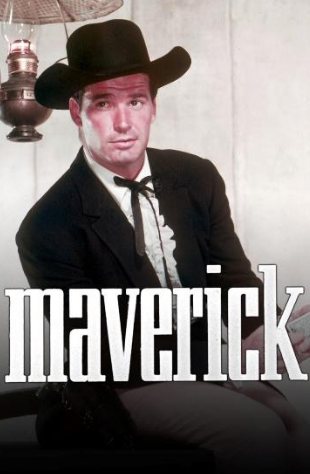 Fans of old western TV shows remember James Garner as Bret Maverick, a wise-cracking, ne’er-do-well, card sharp riverboat gambler, who was always in trouble with the law or outlaws. Bret Maverick has been hailed by critics as TV’s first anti-hero, who was seldom heroic, but always won in the end. Today’s business mavericks are not so heroic, as maverick spending can be costly and disruptive to any organization that does not utilize formal procurement processes or e-procurement software. Business mavericks seldom win and can cause more harm than good. But what exactly is this cost pest? Maverick spending is defined as expenses that result from purchases outside established corporate buying procedures. Maverick spending is not always intentional, but it can be costly and disruptive to the organization. For years, chief procurement officers (CPO’s) have tried to enforce compliance, and control sourcing and spending through established corporate buying procedures. But adoption is often an issue, as busy employees want to be able to buy the goods and services they need as quickly and easily as possible so they can do their jobs better and faster. They often resent delays and the inconvenience of requisition forms and corporate approval processes. The downside of their “maverick” behavior is often a gamble. Purchasing from outside, often using unapproved suppliers, not only creates monitor and control issues for the CPO, but it can also impact quality and effectiveness of the brand. Not to mention cost more in the process. Fortunately, hope is on the horizon for CPO’s and end buyers. Many visionary CPO’s are adopting newer E-Procurement software platforms to replace older legacy systems and homegrown approval applications. These newer E-Procurement platforms promise to provide “business software that people love to use”. This can save employees’ valuable time when they need to buy goods and services. For example, if a local store manager needs to make a fast purchase of a critical piece of equipment, the eProcurement system can provide the practical end-result of a good customer experience for the local store manager, as well as piece-of-mind for the CPO or purchasing manager that the product conforms to established corporate guidelines on pricing and quality. 2. Reduced costs by guiding purchases to known suppliers and pre-negotiated contracts. 3. More efficient record keeping and a real-time snapshot of our purchasing process. According to The Forrester WaveTM on E-Procurement, the accounting departments of companies can spend more than 25% of their time resolving manual errors. These errors can range from invoices that do not have a P.O. attached, to discrepancies in order quantities and/or the price. Forrester posits that E-Procurement tools can match up to 80% of incoming invoices as soon as they are issued by the supplier. This provides managers the ability to monitor and control spending on a real-time basis. All of these benefits are designed to reduce resistance and enhance adoption of a centralized, E-Procurement process that is accepted and adopted by everyone in the organization. This allows the CPO to fulfill his/her role, while empowering employees to perform their assigned duties within the organization. And remember, everyone loves a good-hearted gambler, but no company wants to gamble with maverick spending.